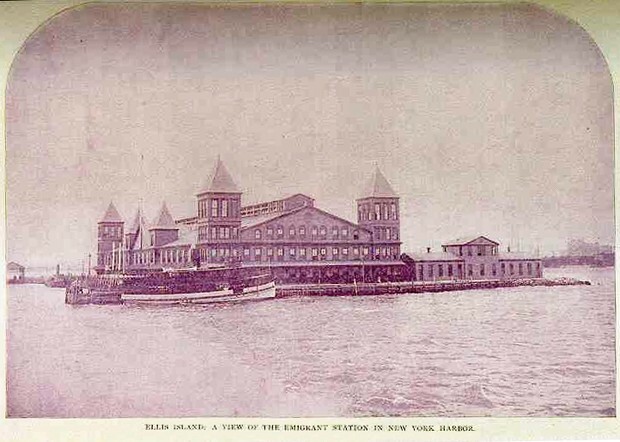 The first ellis island is in the picture here and ellis island was known as the gateway to america. If you was an immigrant at the time you would have to go through this island to get your papers to be a legal american citizen. 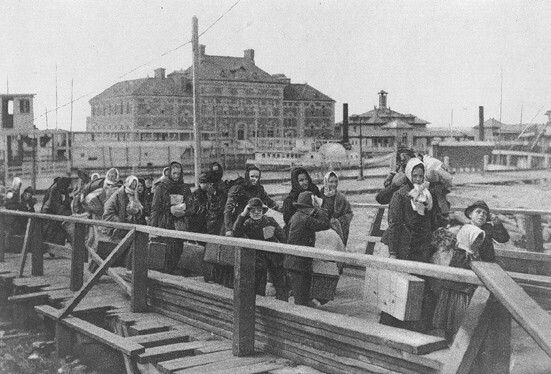 In this picture you see a group of many immigrants going to the ferry to Ellis island. many people back in this time that would travel to america sacrificed everything just to get here to have the slightest of chances to make it big here. 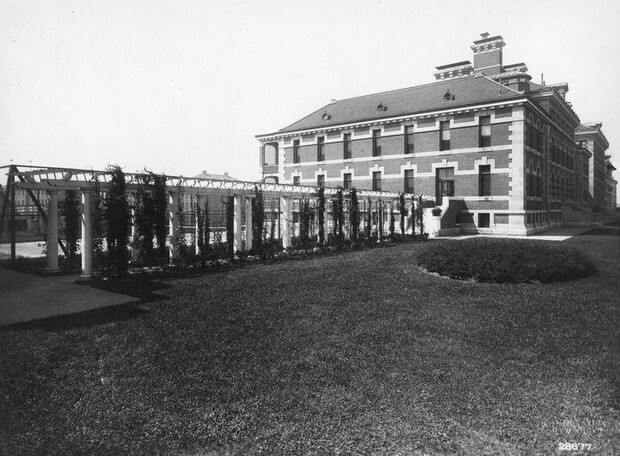 As well as immigration Ellis island dealt with deportation. 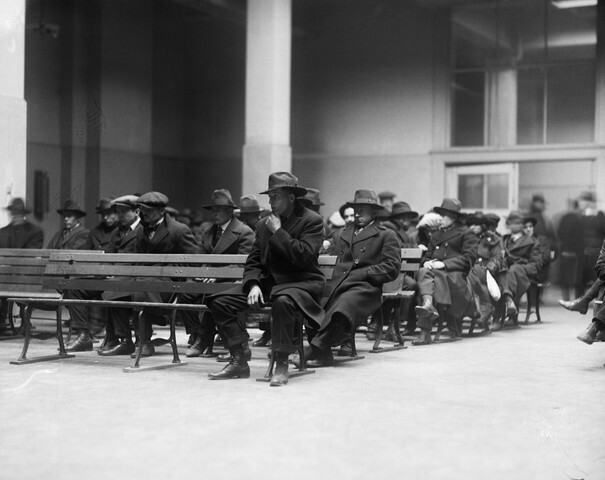 In some cases radical supporters in political organizations would be deported and for them to become deported the had to go through Ellis island to be determined where they were being deported. 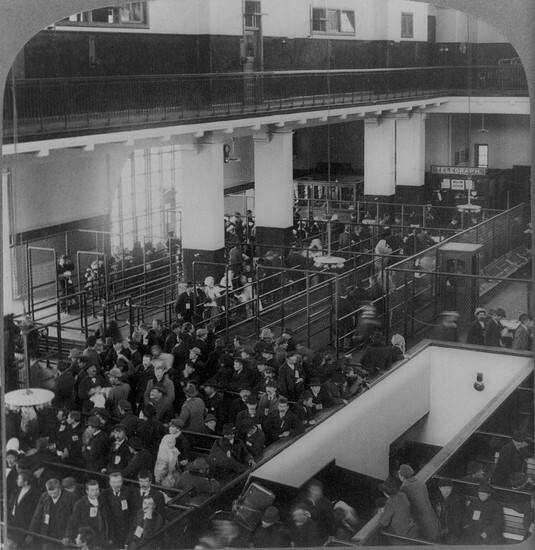 In this photo it shows a large group of immigrants arriving and being processed and put in the system to get their papers this is a long drawn out process and not everybody can make it in if they are sick or if they had no papers or had been previously deported. Before becoming an american citizen they had to be screened and evaluated to see if they are healthy and not carrying and diseases that they wasn't prepared for.